The ultimate gift in style and elegance! 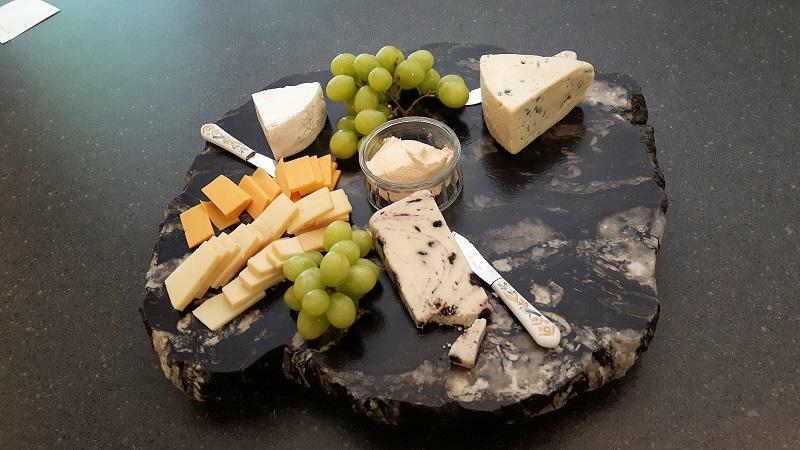 Natural hand-chiseled serving trays and cheese boards made from reclaimed granite. Ideal as personal or corporate gifts or special events such as wedding or retirement keepsakes. 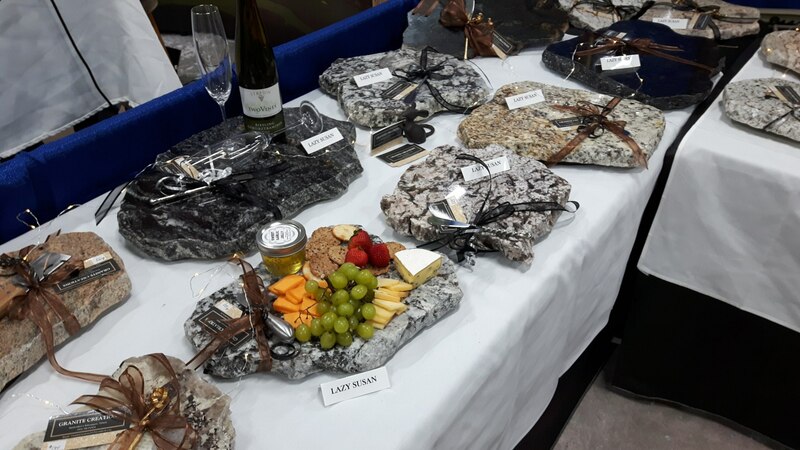 Granite Creations stone products make excellent gifts, whether it be for business promotion, showers, weddings, anniversary, house warming, or a uniquely elegant present for that special someone. Each piece is shaped, edge-chipped and sealed, creating a one-of-a-kind, functional and decorative piece of art. The larger serving trays are equipped with lazy susan bearings, and the smaller ones have legs attached with non marring pads. Our serving trays range in size from 10" x 6" to 40" x 12". Our mid-size trays (approximately 12" to 14" in diameter) may be equipped with Lazy Susan bearings. 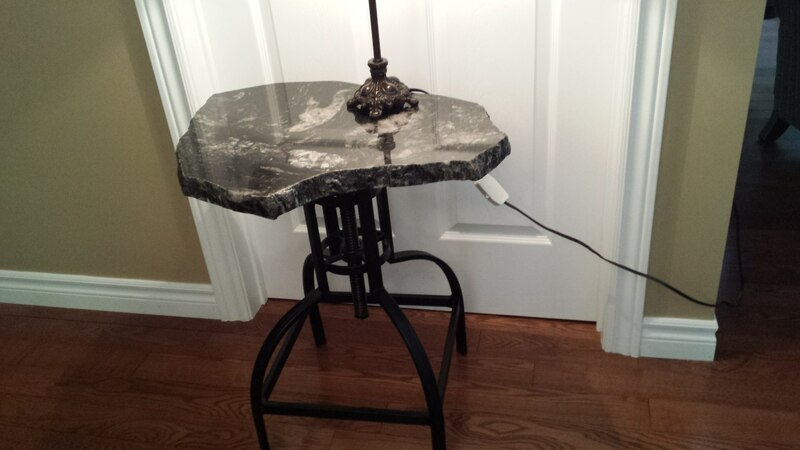 In addition, we make much larger occasional tables by mounting custom pieces of granite onto the base of either antique or modern piano and bar stools. Our granite pen holders are made from unique and stylish pieces of reclaimed natural rock and make an excellent gift for that special executive or top-performing salesperson within your organization. One of our latest creations is a spectacular paraffin lamp oil-fueled granite centre-piece that has copper ferrils, fiberglass wicks and fuel storage reservoirs which give the appearance that the flame is coming directly out of the stone. The number of flames can range from one to nine, depending on the size of the granite slab used. PRICES ARE REASONABLE, AND RANGE FROM $50.00 TO $400.00. WE ARE HAPPY TO QUOTE ON CUSTOM SHAPES, COLOURS, AND SIZES. These come in sizes ranging from approximately 7” in diameter for a cheese serving tray, to 30” long and 10” wide for a table center piece. They are hand crafted using 1 ¼” solid stone that is shaped and chiseled, creating an impressive “live edge”. The trays come with a lazy susan mechanism or ½” high legs, fitted with non-marring felt pads, depending on your preference. The serving slabs can be placed in a fridge or freezer for an hour, and will retain the cold for some time. This will keep your cheese, sushi, or other hors d’oeuvres, fresh for your guests to enjoy. 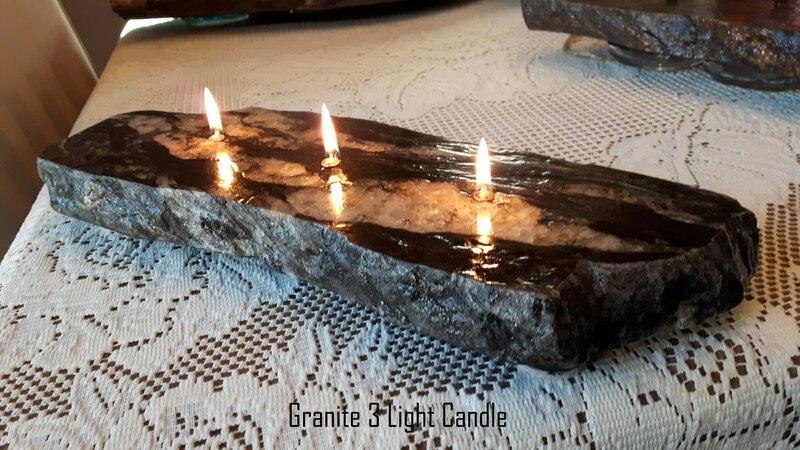 For a truly unusual, outstanding, and functional art piece, our granite liquid paraffin candles have no rival. The stone for our candles is hand selected from the highest quality and unique characteristics to create these elegant, one of a kind, works of art. Sizes range from a 2 candle model that is about 7” X 4”, to 36” X 8”, containing as many as 10 candles. They are equipped with sturdy metal reservoirs that hold the liquid paraffin, and small wooden legs that support the stone top. The candles have either copper or glass wick holders that house the fiberglass wicks. The large stone candles include a filling funnel and a bottle of liquid paraffin lamp oil. Conversation piece for your next dinner party! This beautiful and unique table runner is made of top quality, select granite. The sleek design elevates the runner from the table creating an excellent location to place hot or cold items and allowing easier access by you and your guests. Use this in place of a traditional fabric table runner or multiple trivets so that the runner will act as a statement piece to dress up your dining table every day of the week. This piece is one-of-a-kind and will make a great gift! We are extremely proud of our granite top occasional tables. They have been created using vintage or modern stool bases, with a large piece of custom formed granite attached where the stool seat would normally be. Most of our tables have a center screw adjustment that allows for a height adjustment between 26” and 32”. These are ideal for bed side tables, occasional tables, end tables, or convenient cocktail tables for the patio or deck. 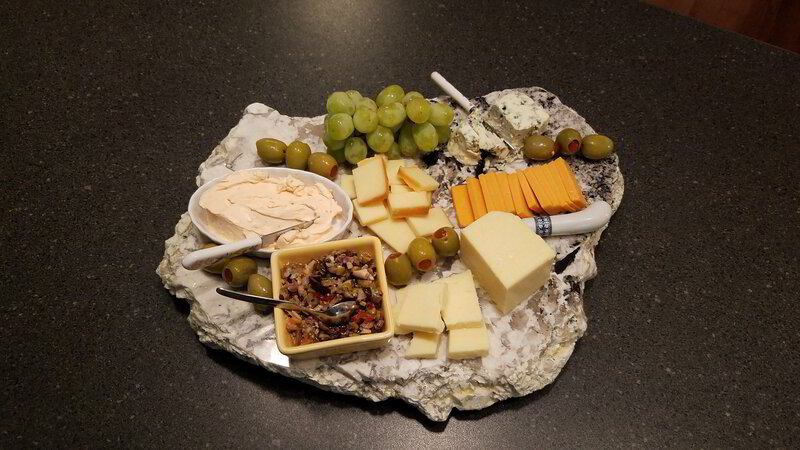 Granite Creations offers one of the most unique home decor, high-end kitchen gift product lines on the market! 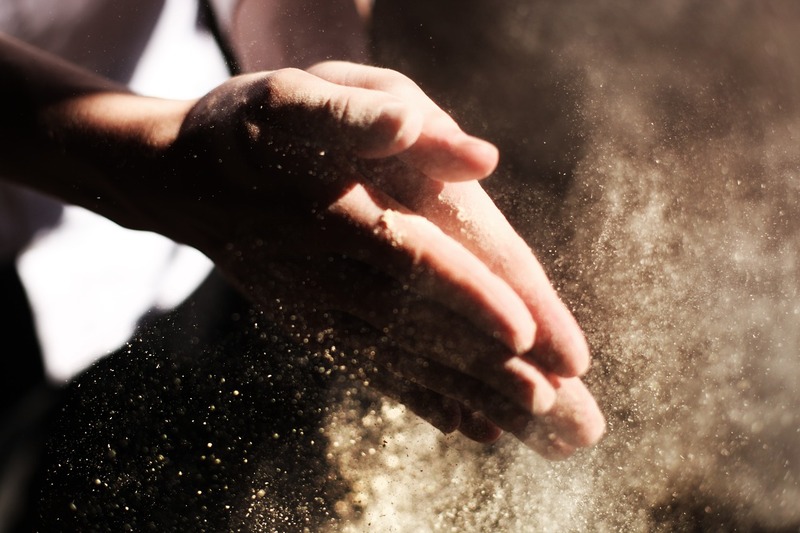 Whether you are a well-established retailer interested in growing your market share, or a real estate agent looking to purchase a quantity of Serving Slabs over the year as gifts to new homeowners, we'll create an order to fit your needs. We strive to deliver the most unique hand crafted and re-purposed home decor items on the planet. Whether you are big or small, every account is important to us. Place an order now and we'll have it to you in a timely manner with both professional and friendly service catered to your demographic needs. Please note that because this is a product of nature, the color, shape and size will most certainly vary from order to order and from the photos shown. The quality, however, will be consistently top-notch. We at Granite Creations hand select our stone material with our focus on colour, quality, and unusual characteristics. As a result, there is a stone selection that will satisfy the decorative and functional needs of most people. All our products are loving handcrafted by artisans in Bobcaygeon, Ontario.